Berlin is one of my favourite cities. It’s a city I could (an do) visit again and again. I love its gritty, hipster and artistic vibe, its amazing nightlife and learning about its fascinating, and often tragically sad, history. But despite having been to Berlin six times, until recently, I’d never been to one of its most popular tourist attractions and Germany’s parliament building: the Reichstag. 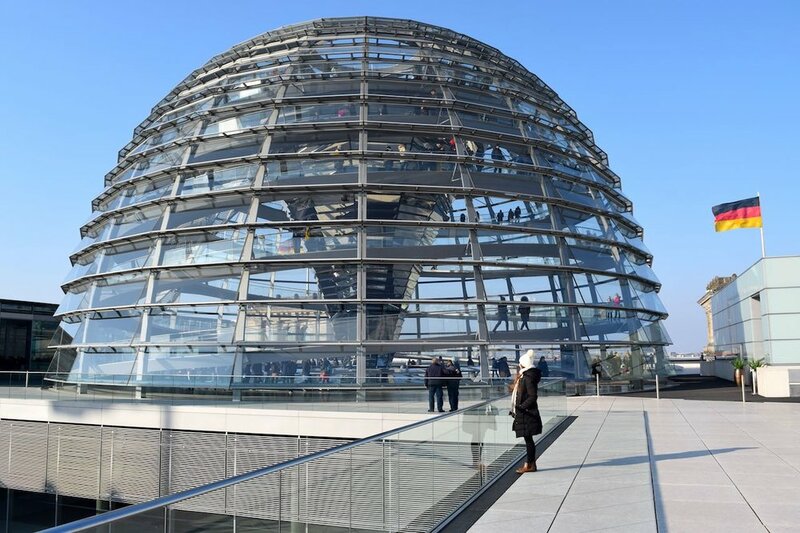 The Reichstag’s main attraction is its spectacular glass dome roof that gives you a 360-degree view of Berlin: a city that's had as many different lives as the building itself. After passing through security, you’ll be taken up to the dome in a lift, where you’ll wander up a spiral walkway until you reach the very top. 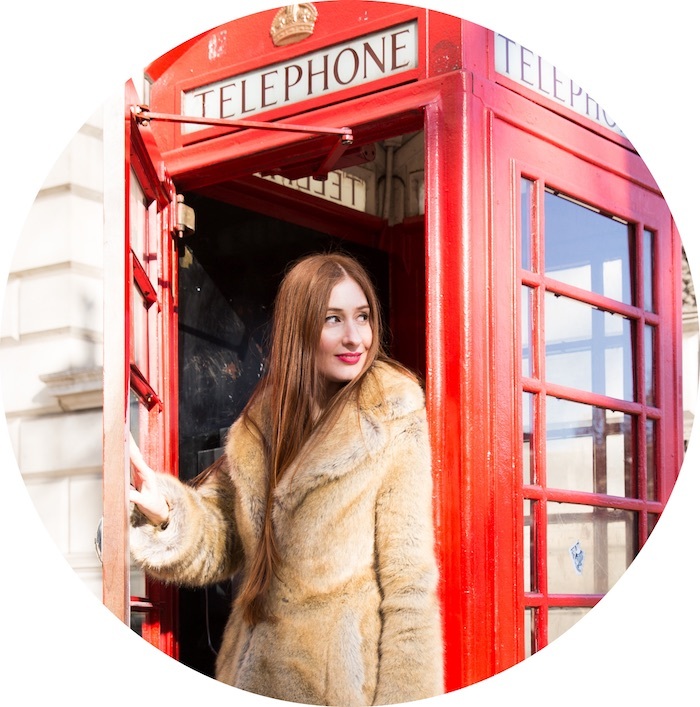 It’s a breathtakingly beautiful space, that allows you to see the city below from every angle, with an informative audio-guide that highlights points of interest along the way. It’s a magnificent building, and after having been to nearly every tourist spot in Berlin over the years, I can definitively say the Reichstag, or Bundestag as it’s sometimes known, should be at the top of your list when visiting Berlin. Behind it’s transparent dome top lies a long and often dark history. Since it first opened in 1894, it’s been burned, bombed, fallen into disarray and disuse, bordered by the Berlin Wall, rebuilt and finally renamed as the country’s parliament building in the late 90s. What I loved most about the Reichstag dome is that every aspect of its design is considered and deliberate. 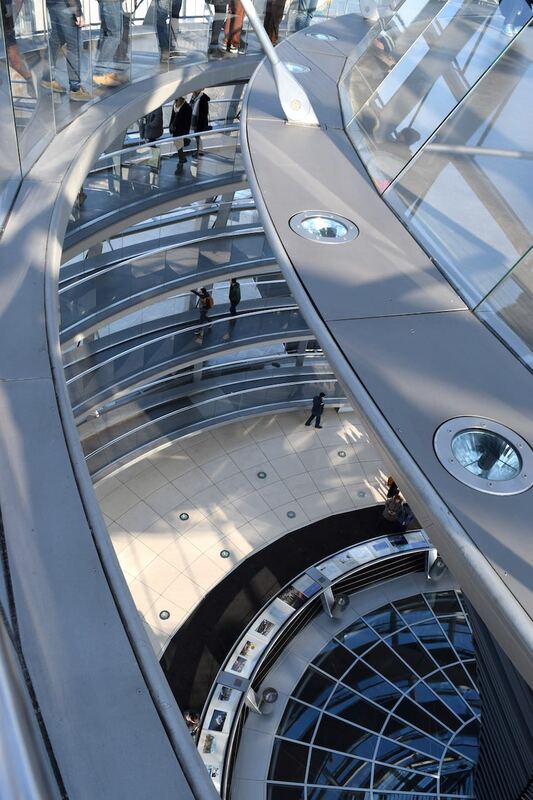 While walking up to the top, not only can you see all of Berlin’s important landmarks, but you can also look down into the main hall of parliament below you. This symbolises that the people are always above government and that democracy must be transparent – something that clearly wasn’t the case during the Nazi party’s rule. A fire at the Reichstag in February 1933 is seen as a pivotal moment in the establishment of Nazi Germany. One month after Hitler had been sworn in as the Chancellor of Germany, the suspicious fire broke out in the Reichstag. The Nazis quickly blamed the fire on their political opponents – the Communist Party of Germany – and passed an emergency decree that allowed them to suspend the civil liberties of the communists and send them to prison. As the fire had rendered the Reichstag building unusable, on the rare occasion parliament did convene during Nazi rule, it did so in the nearby Opera House. This included a meeting, less than a month after the fire, where the parliament voted to allow Hitler to make his owns rules – leading to 12 years of unimaginable horror. On a brighter note, the dome symbolises Germany’s commitment to renewable energy. A large sun shield tracks the movement of the sun electronically and blocks or allows direct sunlight, keeping the space warm in winter and reducing the need for air conditioning in summer. Its mirrored core directs sunlight into the building reducing the need for lighting, and reflects the parliament chambers lights at night to illuminate the dome externally. The dome also helps to ventilate the entire building, by drawing the hot air upwards and recycling energy from the waste air. Architect, Norman Foster, designed the dome. Foster also designed London’s famous ‘gherkin’ building and worked with Steve Jobs to design Apple’s new headquarters known as Apple Park. 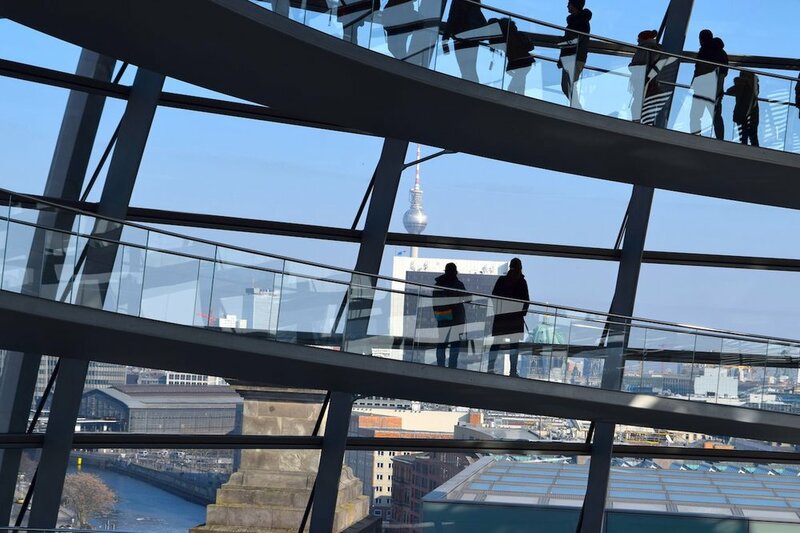 Both structures, feature immense and intricate glass work – just like you’ll see at the Reichstag. 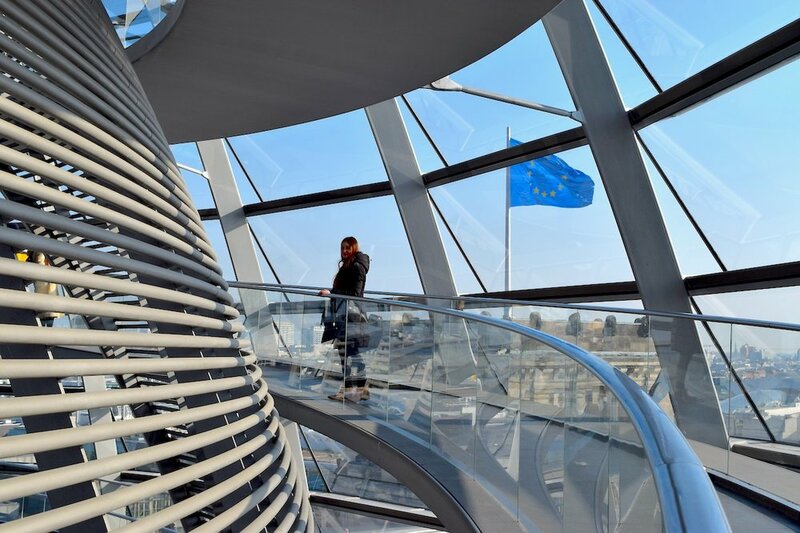 The best things in life as free, so of course a visit to the Reichstag will cost you nothing. When registering, you’ll need to include all names and birthdates of the people you’re visiting with. You’ll also need to make sure you bring along a photo ID on the day, such as passport or drivers licence. We used our UK and Australian licences, which were perfectly acceptable. You can’t take drink bottles up to the dome, but the friendly staff are happy to look after them so you can pick them back up after you get back down.